The Second International Communist Women’s Conference calls on Communist parties in every country of the West and East to have their central women’s committees elect international women’s correspondents, in keeping with the theses of the Third International. The duty of the correspondent in each Communist Party, as laid down in the guidelines, is to maintain regular relations with the international correspondents in other countries as well as with the International Communist Women’s Secretariat in Moscow, which is a working body of the Third International Executive. The Communist parties must help provide their international women’s correspondents with the opportunity and the means for international communications with each other and with the secretariat in Moscow. Once every six months, the international correspondents will meet together with a delegation of the International Women’s Secretariat for consultation and an exchange of views. The Secretariat can also convene such consultations at any time if so required. The International Women’s Secretariat in Moscow, in collaboration with the Executive and in close accord with the international correspondents of each country, will carry out the tasks laid down in the guidelines. In particular, it may concern itself with assisting in word and deed the development of the still weak women’s movement in each country. It will also provide the Communist Women’s Movement of all countries, East and West, with unified direction for their work and struggle. Under Communist leadership and with energetic Communist support, it will lead actions suitable to broadening and sharpening the revolutionary proletarian class struggle through the advance of women. In order to strengthen and regularise ties with the Communist Women’s Movement in every country, the International Women’s Secretariat will establish an auxiliary body in Western Europe. This body will carry out preparatory and follow-up work for the International Women’s Secretariat. However, its functions lie in implementation, not in decision making; its actions and decisions will follow the directives of the main secretariat in Moscow and the Third International Executive. The Western European auxiliary body will always include at least one representative of the main body. To the degree that the composition and scope of the main secretariat is not laid down in the guidelines, these issues – and also the formation, structure, and activity of the auxiliary body – will be settled by the Third International Executive, in collaboration with the International Women’s Secretariat. The disintegration of the capitalist economy and the bourgeois order based on it, along with the advance of the revolutionary power of the proletariat in countries where the bourgeois order still prevails, makes it increasingly and urgently necessary for the proletariat to conduct its revolutionary struggle and establish its dictatorship. This can be achieved only if the broad masses of working women take part in this struggle consciously, resolutely, and with devotion. 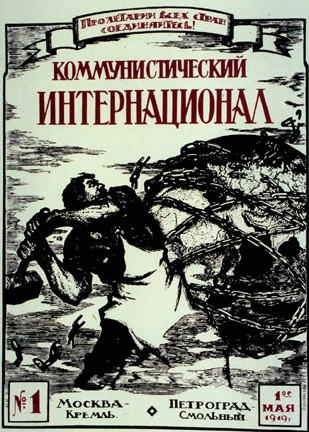 In countries where the proletariat has already taken state power and established its dictatorship through a council system – as in Soviet Russia and Ukraine – it is incapable of maintaining its power against the national and international counterrevolution and beginning the construction of a communist order, which will free humankind, unless the broadest masses of working women are imbued with a clear and unshakable determination that they too must take on the tasks of defence and construction. 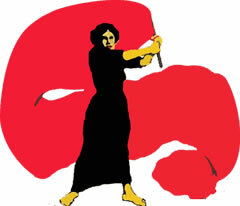 The Second International Conference of Communist Women in Moscow therefore calls on parties in all countries, in accord with the principles and decisions of the Third International, to commit their full energy to awakening, gathering, training, and recruiting the broadest masses of working women into the Communist parties and for revolutionary struggle and construction. Their determination and capacity for action and struggle must be constantly intensified and strengthened. In order to achieve this goal, all the parties affiliated to the Third International are obliged to establish women’s committees in all their branches and institutions, from the lowest to the highest. These should be headed by a member of the party leadership. The task of these committees is to carry out agitational, organisational, and educational work among the broad masses of working women. These committees will have representation in all the party’s leading and governing bodies. These women’s committees are not separate organisations. They are merely working bodies for the particular task before us, that of mobilising and educating the broad masses of working women for the struggle to win political power and for the work of communist construction. They therefore function continuously in every field under the leadership of the party. However, they enjoy the freedom of action needed to carry out the methods and forms of work and to create the institutions that are called for in view of the state of their work, the special role of women, and their still unsurmounted special position in society and the family. The conference refers these committees to its adopted theses, which provide detailed guidance for their work. 1.) To inspire increasing masses of women to gain a clear understanding of the revolutionary class struggle of the exploited and oppressed against capitalism and for communism, and to make a firm commitment to this cause. 2.) After the victory of the proletarian revolution, to make them into collaborators in communist construction, imbued with deep understanding and a willingness to sacrifice. The women’s structures of the Communist Party must, in their activity, be aware that the spoken and written word is not the only means of agitation and education among the masses of women. Instead, the most important method, which must be fully considered and evaluated, is the collaboration of organised Communist women in every field of activity of the Communist parties – both in the struggle and also in construction. This entails the active participation of working women in all actions and struggles of the revolutionary proletariat, in strikes, street demonstrations, and armed uprisings, while in soviet countries working women must play an active part in all spheres of Communist construction.